Water Pipe Fin Copper Tube Heat Exchanger , Finned radiator mainly by the air flow between the three rows of parallel finned tube bundle composition, SRZ finned finned tube processing technology is reverse 0.5 * 10 mm strip with mechanical winding method, around 18 mm seamless Steel pipe, and then hot-dip galvanized, stainless steel can also be made of stainless steel and stainless steel with stainless steel heat, SRL-type radiator is rolled with fins and aluminum radiator, the heat radiation area per unit length than the SRZ type Of the fin Heat Exchanger due to the mechanical winding, cooling fins and heat pipe contact surface is large and tight, heat transfer performance is good and stable, the air through the resistance is small, steam or hot water flows through the pipe, the heat By tightly wrapped around the fins on the steel pipe to pass through the air between the fins to achieve the role of heating and cooling air. 5. pitch of fins can be adjustedbetween 1.8-5.8mm. 8. voltage: 220V/1/50HZ and380V/3/50HZ or other type. 9. different alternative condensing fansavailable: shaded pole or outer rotor fan motor. 10.did gas examination under3.0Mpa air pressure to ensure the tightness. 12.widely used in refrigerationindustry, cold room and other cooling system. 13. we can supply products as percustomized samples or drawing. Usually, the fin-tube heat exchanger spacing and height are mainly affected by the wing-to-wing ratio, fineness ratio and the tube inside and outside the media membrane heat transfer coefficient has a great relationship. If the tube inside and outside the membrane heat transfer coefficient of difference, should select the wing than the relatively large fin tubes, such as steam heating the air. When there is phase change in one side of the medium, the difference in heat transfer coefficient will be larger, such as the exchange of hot and cold air, when the hot air below the dew point, you can use finned tube heat exchanger. In the absence of phase change of air and air heat transfer, or water and water heat exchange, usually more suitable for bare pipe. Of course, you can also use low-fin tube, because at this time belongs to the weak heat transfer coefficient, to strengthen one side of which have some effect. However, the role of the wing is too large is not obvious, the best internal and external contact area of the tube at the same time to strengthen, you can use threaded pipe or groove tube. Fins from the main consideration is fouling, dust, easy to clean and other factors, at the same time to be strictly in line with equipment requirements such as pressure drop. Arrangement, the pipe and the distance between the tube is not easy to too large, generally> 1mm or more for the cloth can be. In the heat transfer process, the air flow through the finned tube heat exchanger, the main is the two sides of the fin surface to participate in heat transfer. The middle part of the two fin tubes has only a small amount of radiation heat transfer, the heat transfer effect is not obvious. This part because no fin, no resistance, easy to penetrate the air. During the process of air heating, the cold air without heat exchange will neutralize the heated air passing through from the middle of the fin, but reduce the effect of heat exchange. Compared with the foreign finned tube heat exchanger, The spacing is only 0.5mm larger than the outer diameter of the fin, showing the importance of the tube spacing when arranging the finned tubes. 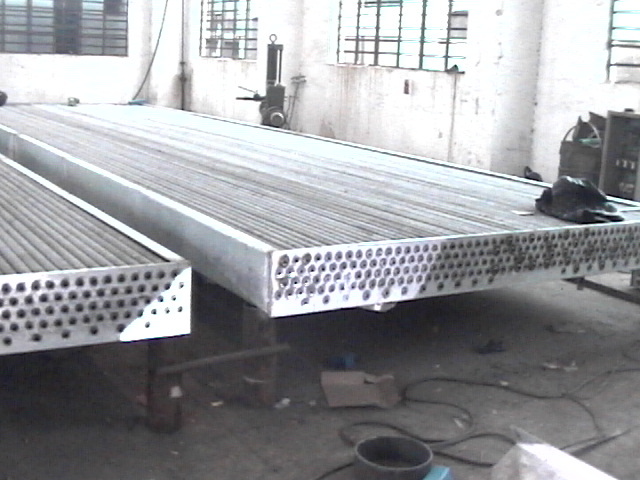 Looking for ideal Water Fin Tube Heat Exchanger Manufacturer & supplier ? We have a wide selection at great prices to help you get creative. 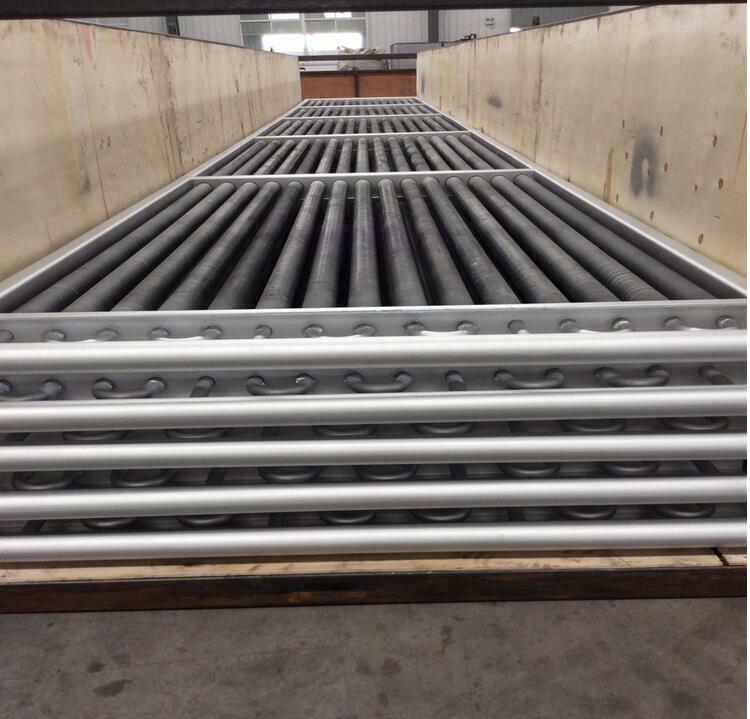 All the Fin Tubes for Heat Exchangers are quality guaranteed. 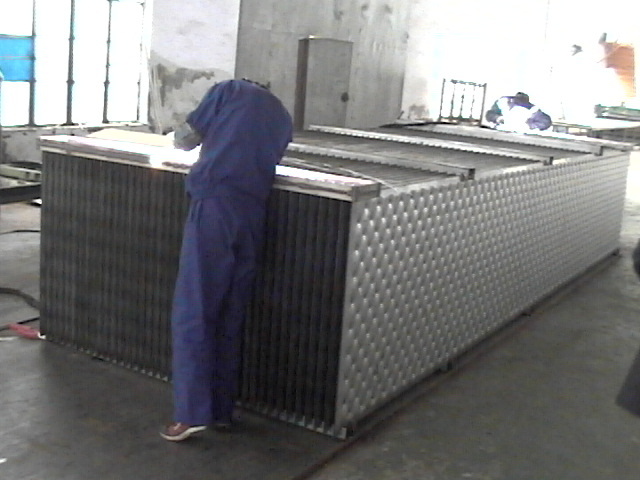 We are China Origin Factory of Copper Tube Heat Exchanger. If you have any question, please feel free to contact us.